IronNet Cybersecurity, a leading provider of state-of-the art cybersecurity solutions, announced significant advancements in the adoption of its IronDome and IronDefense products as well as a major Series B investment round totaling $78 million in new funding. The investment was led by new investor C5 Capital, and joined by existing blue-chip Silicon Valley venture capital firms ForgePoint Capital (formerly known as Trident Capital Cybersecurity) and Kleiner Perkins. The new round provides IronNet with a valuation well above its prior round raised in September 2015. The new funds will be used to support IronNet’s strategic growth and to continue accelerating the development and adoption of its industry-leading cybersecurity solutions. 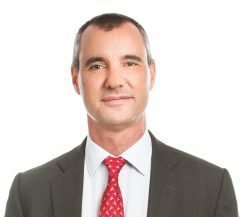 André Pienaar spoke to the member publication for ICAEW chartered accountants, economia about foreign direct investment regulation in the UK technology sector. I am delighted and honoured to have Chris Cooke join C5 as a Managing Partner. The strength of our firm is our obsession with our investors interests. Chris’s professionalism and extensive experience will strengthen our investor relations further. 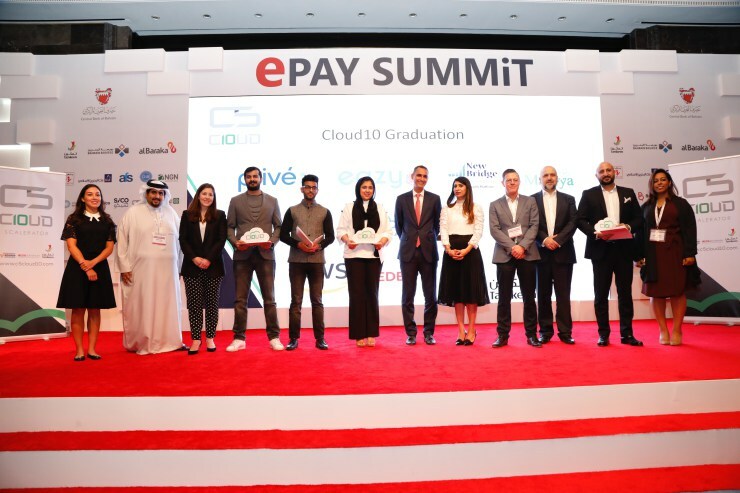 We are very proud of the latest graduates from C5 Accelerate’s Cloud 10 program, in partnership with Amazon Web Services. Full article in Lawyer Monthly magazine. C5 has announced the winners of its inaugural Shield in the Cloud competition. The challenge, supported by Amazon Web Services (AWS), PeaceTech Lab, and SAP NS2, was created to bring together the best and brightest minds working in anti-corruption technology. Each year, the U.S. Department of State, PeaceTech Labs, and other partners hold a Partners Practitioners Forum. The PeaceTech Accelerator accepts startups whose goals align with the seven “PeaceTech” themes. Here are three upcoming initiatives that we’re particularly excited about. A picture speaks more than a thousand words. 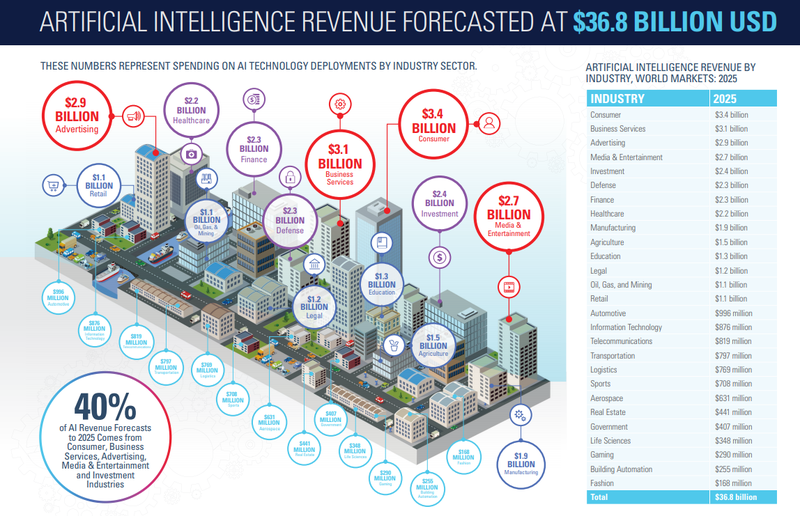 Artificial intelligence (AI) is growing exponentially as a new industry and has a critical role to play in cybersecurity innovation. Artificial intelligence refers to an area of computer science that emphasises the creation of intelligent machines that learn and adapt through experience. AI technologies use machine learning (ML) to emulate human cognition and learn through experience, rather than cause and effect. Recent advancements in deep learning and machine learning now mean that machines are able to teach themselves rather than relying on humans. This rise of AI and ML can be attributed to advancements in computing power and also the advent of big data and cloud computing. Growth in these areas means that this technology is beginning to become available to enterprises around the world, and one area it is being put to great use is cybersecurity. The implementation of AI into cybersecurity systems serves as a real turning point. These systems come with a number of substantial benefits that are helping prepare cybersecurity professionals for taking on cyber-attacks and safeguarding their enterprise. AI is already being used by organisations to bolster cybersecurity as it offers greater protection against sophisticated hackers. AI helps by automating complex processes for detecting attacks and reacting to breaches. These applications are becoming more and more sophisticated as AI is deployed for security and uses ML to spot greater and more complex patterns in the technology hackers are using in their attacks. Data deception technology products used in cybersecurity can automatically detect, analyse, and defend against advanced attacks by proactively detecting and tricking attackers. They do this according to a standardized procedure or playbook. Rather than the variability (and ultimately inaccuracy) that comes with a human touch, AI systems don’t make mistakes in performing their function. As such, each threat is responded to in the most effective and proper way. Although cybersecurity technology can eliminate human error from certain tasks, it still works best when combined with very smart security personnel. Instead of bringing fears that AI will replace human workers in cybersecurity, as well as many other industries, in the sphere of security ML is being used within several different areas to compliment, rather than replace, traditional measures. In practice, this means that AI is there to do the number crunching, and free up cybersecurity analysts for other tasks. The benefit of ML to AI cybersecurity systems also means that this adaptive technology continues to change and become smarter over time, providing a competitive edge to defenders that have primarily been absent from most cybersecurity technologies to date. Unfortunately, there are still some vulnerabilities that AI can open up, particularly when it depends on interfaces within and across organisations that inadvertently create opportunities for access by hackers. As the defenders in cybersecurity begin to deploy AI, it comes as little surprise that the attackers are also beginning to deploy AI, enabling it to have the ability to make decisions that benefit attackers. This means that they will gradually develop automated hacks that are able to study and learn about the systems they target and identify vulnerabilities. As the technology improves, it’s possible that programmes will emerge with the ability to fully understand when they are under attack and take measures to protect themselves. For now, AI and ML look to have a bright future in cybersecurity as enterprises begin to invest heavily in adding smart security measures to their overall defence. Cloud computing has revolutionised the way in which we think about IT infrastructure. It provides businesses with the delivery of computing services including, servers, storage, databases, networking, software, analytics and more, over the internet, or ‘the cloud’. This eliminates the need for the costly ownership and upkeep of computer hardware, with cloud providers instead offering the services on-demand. This is beneficial for many companies, but especially smaller start-ups as it provides exactly the right type and size of computing resources required for the job with no waste, you just pay for what you use. Although cloud computing services are barely a decade old, the technology has been leapt upon so rapidly that its use has already started to become ubiquitous in our daily lives. If you use email, watch films and TV shows online, stream music, play games, or just store pictures and other documents, it is almost certain that cloud computing is making it all possible. Cloud computing has caused a real paradigm shift in the way in which businesses think about IT resources. Look at the benefits of cloud computing however, and it becomes clear why so many are turning to it as a preferred IT solution. Cloud computing eliminates the cost associated with setting up and running on-site data centres including the racks of servers, the round-the-clock energy demands, and the IT experts for managing the infrastructure. It also benefits from massive economies of scale, with many thousands of users, cloud providers can offer their services at lower prices. Cloud computing services are most commonly provided as on demand services. This means that vast amounts of computing power can be provisioned in minutes, giving businesses the flexibility to up weight and down weight resources as required and stop guessing capacity. Cloud computing services run on a worldwide network of secure data centres, and are regularly upgraded to the latest and most efficient computing hardware. This not only means that the upkeep of these services is done more efficiently than at a single privately owned data centre, but the worldwide network also allows for fast deployment of applications around the world with reduced network latency. Backing up data is important and cloud computing makes data backup, disaster recovery and business continuity far easier and cost effective than ever before. How does C5 use cloud computing? Cloud computing is taking the power we have come to know from our personal and upscaled it to create a global network of computing infrastructure to be used for everyone’s benefit. Thanks to the economies of scale involved, it now requires less capital and less infrastructure to build organisations, allowing start-ups to grow, scale and innovate globally on an unprecedented scale. C5 have recognised the benefits of the cloud to new businesses and have begun running accelerators in Bahrain and Washington D.C. through C5 Accelerate. The eight-week structured program of mentorship is designed to cover all aspects of scaling up, with a focus on scaling using the cloud. The Cloud Accelerator program in Bahrain is a first for the Middle East and Africa and aims to drive growth in the local and regional business ecosystem by enabling the rapid adoption of cloud technology. The program has already started to develop and fund businesses from across the region with a focus on technologies that align with the economic priorities of the Gulf Cooperation Council (GCC), including companies in manufacturing, financial services and technology sector development. At the PeaceTech Accelerator based at the United States Institute of Peace (USIP) in Washington D.C. and powered by Amazon Web Services (AWS), C5 has launched the first major international peacetech program powered by cloud innovation and dedicated to scaling start-ups around the world. C5 is investing in peacetech because it represents the purposeful application of the innovation that cloud computing enables for good and not evil. Following the programs, cohort companies enter a peer network for ongoing support and guidance. These collaborations build on the existing relationship between C5 and AWS, in which AWS supports C5 accelerators with expertise and support to help train program participants on cloud computing services. With the AWS Cloud, PeaceTech accelerator and Cloud Accelerator participants can take advantage of the power of cloud technology to help launch and grow a business rapidly, securely, and cost effectively.